Love the hands remedy! Thanks for this! With the teeth whitening, be careful of the acid eroding the enamel of the teeth. A great way to combat this is to swish with a baking soda water mixture right afterwards. I do this after I take apple cider vinegar, or when anything acidic touches my teeth. Sometimes when I may a dinner with a strong odor I just smell the scent for awhile but never knew that lemon peels could help my hands. Amazing what lemon can do (orange, too). Thanks for sharing such helpful hints. I like being finding ways to use natural products around my home. I have used lemon peels in the past to rub out the smell of garlic or onions on my hands. I never knew about any of this. Thanks for posting it. Wow! I never knew they had so many uses! 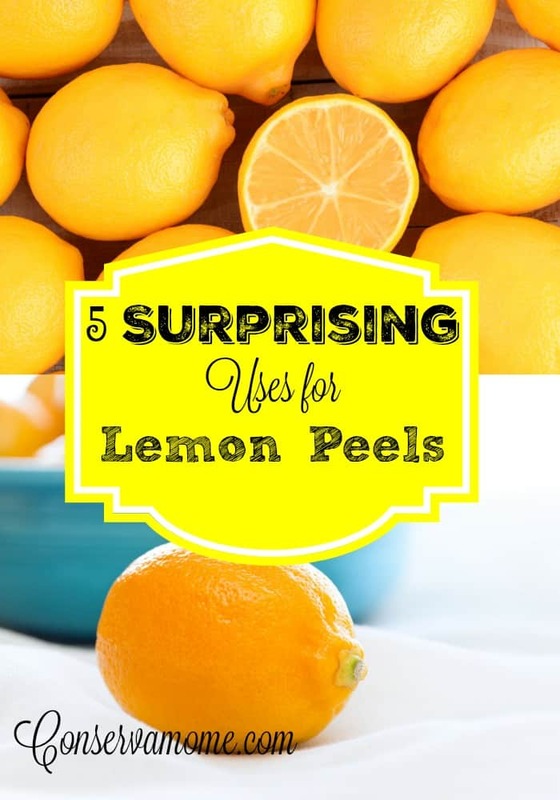 Will start saving some lemon peels to try some of these! Thanks! I didn’t know it would repel ants. I’m going to try this in the spring! Thanks for the info! Oh wow!! did not know that lemon repels ants, fleas, and cockroaches! I need to tell my mom about this! Wow, I had no idea that bugs are repelled by lemon peels! I always thought they were attracted to food of almost every type. I have to start using this, spring is on the way, and with it, the bugs. Thanks for the head’s-up, it’s sure a lot healthier than spraying Raid all around, and smells better, too! I didn’t think about the deep cleaning your hands! That’s a great tip! I’ll have to give it try after working in the yard! I like to use lemons when I clean my garbage disposal. It cleans while getting rid of the smell. I’ve never tried my dish washer though and I will definitely have to try it on my teeth. ? Omgosh yes!! I found out #3 totally by accident!! I am overdue for a cleaning and I drink lots of tea and coffee… so my teeth are fairly stained. I can’t use bleach because of sensitivity issues so Im usually sol till cleaning time! But recently Ive been drinking hot lemon water and voila!! Whiter teeth and fewer stains lol!! Craziness!